Every Scout - at every level - deserves a trained adult leader. We have the resources and the tools you'll need to deliver a high-quality, fun and safe program for the youth of Three Fires Council. The Boy Scouts of America places the greatest importance on creating the most secure environment possible for our youth. Every registered adult leader is required to take Youth Protection Training every two years. It's online and takes less than 45 minutes to complete. There's nothing quite like becoming a mentor to a young man or woman through Scouting. Over 9,000 adult leaders help deliver our indoor and outdoor programs to the youth of our Council. Join our elite team today! What Does it Mean to be "Trained"? The secret to delivering a quality Scouting program is having trained leaders at every level. Review this chart for a comprehensive list of the training classes required to be fully qualified to proudly wear your 'TRAINED' tab, then visit our training Calendar for upcoming training dates. We know how important your personal training journey is. You've spent hours taking classes online. You've spent your weekends attending position-specific training and camped out while improving your Scoutcraft skills. Here's where to go when you need a copy of a Certificate of Training, to check your Youth Protection status and more. My.Scouting.org log in required. The BSA is in the midst of transforming it's delivery of training for our leaders. Many required courses may be taken entirely online. My.Scouting.Org is the first stop on your Training journey. Also visit our Training Calendar for upcoming training opportunities. My.Scouting.org log in required. Facilitator Guides for the updated In-Person Youth Protection Training are now available for download in both Spanish and English. Please share the links below with training chairs, champions, district executives – anyone responsible for in-person facilitated training. You've made the commitment to become a trained leader. Let's take it to the next level and outfit you with the skills you'll need to execute a quality Scouting program. Here's where you'll hone your Scoutcraft skills, learn how best to engage young minds while helping them learn the valuable lessons that will last a lifetime. An introduction to the Cub Scout outdoor program. Basic Adult Leader Outdoor Orientation (BALOO) teaches BSA camping policy and basic outdoor camping skills. BALOO is required training for Cub Scout and Webelos unit leaders in order to camp with your Scouts. Search "BALOO" in the TFC Calendar for information on upcoming classes. Working as patrols, this hands-on course provides adult leaders the practical outdoor skills they need to lead Scouts in the out-of-doors. Along with Scoutmaster Specifics this course is required of all direct contact leaders registered in Boy Scout Troops and Varsity Scout Teams, in order to be considered Trained. Visit the TFC Training Calendar and search for classes near you. Are you a new Scoutmaster? Committee Member? Charter Organization Representative? We've offer instructor-led courses for leadership roles at every level. Start by visiting BSA's Training for Adults page and determine what classes you'll need to take. Then visit the Three Fires Council Calendar and search for classes near you. Bring your professional skills or passion for a hobby or outdoor activity to bear on helping our Scouts advance. With over 150 merit badges to choose from, we can help you become a mentor, coach and instructor. Start by completing the Merit Badge Counselor Application and submit it to your unit Advancement Chairman. Applications may be submitted directly to Three Fires Council. Some badges require formal Certification. A hallmark of the Scouting Program is our passion for lifelong learning. Whether you need to take advanced first aid in preparation for an upcoming high adventure trek or you've committed to year-round camping with your Troop or Crew - we've got the expert instructors and coursework for you. Take your Scout training to the very pinnacle and join our next Woodbadge course. Choose from hundreds of courses at Lord Baden Powell University or attend resident training at the Philmont Scout Ranch. No matter your destination - there's always a new training challenge just down the trail. Ready to test yourself? Okpik (Ook’pick) is designed to teach cold weather outdoor camping skills. Join a patrol and earn your crystal cubes. Protecting the environment is at the very core of what we do. Learn advanced outdoor Leave No Trace Skills and earn the Outdoor Ethics Award. Visit the TFC Calendar to find an upcoming class. This advanced course is designed to teach life-saving emergency skills for when medical care is hours away. Required to attend BSA High Adventure Camps. Visit the TFC Calendar to find an upcoming class. The first Wood Badge course was offered in 1919. Today, Wood Badge remains Scouting’s premier leadership training course for uniformed adult leaders. Offered annually. The purpose of the College of Commissioner Science is to provide ongoing practical training for all Commissioners to allow them to better serve their units. Presented by Three Fires Council, Rainbow Council, Pathway to Adventure Council and, Northeast Illinois Council. PTC is the national volunteer training center for the BSA. Each year, over 6,000 Scouters attend advanced training at PTC. Training isn't just for our adults. Three Fires Council offers a ton of youth leadership training opportunities. From basic Pack, Troop and Crew leadership to more advanced resident training opportunities - it's all here. Start here and check out the online and classroom training courses offered by the BSA. Three Fires Council offers youth training year round. Check our Calendar for upcoming training dates. Stepping up to a senior role in your Troop? Giving back by serving as a mentor in your local Cub Scout Pack? We've got a fun and informative class that will give you the skills necessary to get and keep your fellow Scout's attention in meetings and outings. Search for "Senior Patrol Leader and Den Chief training" dates on the TFC Calendar. 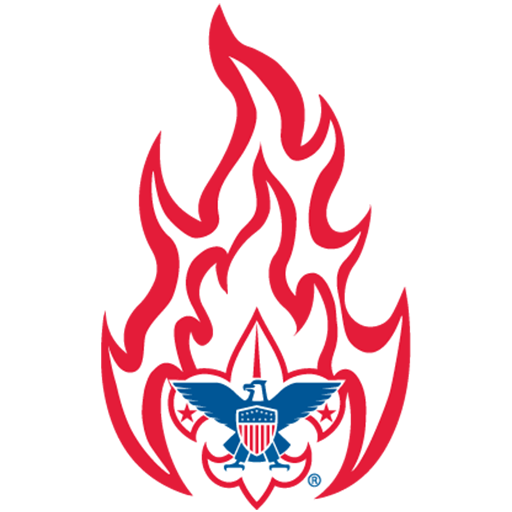 Click the link below to learn more about Youth training opportunities with the BSA. Ready to super-charge your personal leadership skills? The National Youth Leadership Training course is an intense, 6-day camping and leadership development experience. NYLT is based on the best of modern leadership theory and is executed through presentations, outdoor challenges and peer engagement. NYLT is offered annually. Ready to take your leadership skills to the mountain top? Then the National Advanced Youth Leadership Experience is for you. In fact, take it to one of BSA's top high adventure bases - Philmont, Sea Base, Northern Tier or the Summit. NAYLE is the BSA's premier outdoor leadership training experience and emphasizes team building, ethical decision making and selfless service. Whether you’re just starting your volunteer journey or you’re a seasoned Scouter we’ve got training courses that will help you improve your outdoor skills, build your confidence as a leader and provide the tools needed to deliver a quality program for the youth of Three Fires Council. Choose from dozens of upcoming events. Search events by program level, District, role-specific classes or just browse upcoming training events. Three Fires Council’s premier training event is held each November. Training Academy delivers over 100 courses for leaders of all levels. Youth leadership training is also available. Get to know your Training Team representative in your District or at the Council level. Contact us with your questions and ideas.